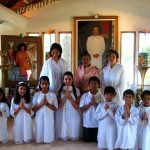 Welcome to the Sathya Sai Baba Center of Lomita! We have approximately 60 members and have been established in this location since 1996. We meet every Friday evening at 7.30pm for Study Circle and Bhajans (Multilingual Devotional Singing). We have a wonderful Sai Spiritual Education (SSE) program for children every Sunday at 10:00AM -12:00PM. Our community service projects are listed below and all members and friends of the Center are welcome to participate. 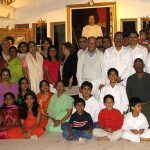 We have many books on Sathya Sai Baba, which describe his life and teachings, and every 2nd Friday, we show videos/DVDs of Sathya Sai Baba as well as videos of leaders of the Sathya Sai Organization sharing their direct experiences. We invite you all to join us in experiencing Swami’s Divine Love. 1st Friday, – Bhajans (Multilingual Devotional Singing) start at 7:30PM and end at 8:30PM. Announcements and Prasad (shared food offerings) will follow. Bhajan Practice will be held for 1/2 hour after Prasad. Please join us to learn, teach, or improve your Bhajans. 2nd Friday, – Study Circle starts at 7:30PM and ends at 8:30PM. Bhajans begin at 8:30PM and end at 9:30PM. Videos will be shown for 1/2 hour. There will be no Prasad. 3rd Friday, – Study Circle starts at 7:30PM and ends at 8:30PM. Bhajans begin at 8:30PM and end at 9:30PM. Bhajan practice for 1 hour will be held. There will be no Prasad. 4th Friday, – Bhajans start at 7:30PM and end at 8:30PM. Announcements and Prasad will follow. Bhajan practice for 40 minutes will be held after the announcements and Prasad. 5th Friday, – Study Circle starts at 7:30PM and ends at 8:30PM. Bhajans begin at 8:30PM and end at 9:30PM. Bhajan practice for 40 minutes will be held. There will be no Prasad. This Bingo game provides free prizes to all of the resident participants. These are new items donated by the Lomita Sai Center members. Every Sunday. Drop off food by 10:00AM outside Lomita Center.